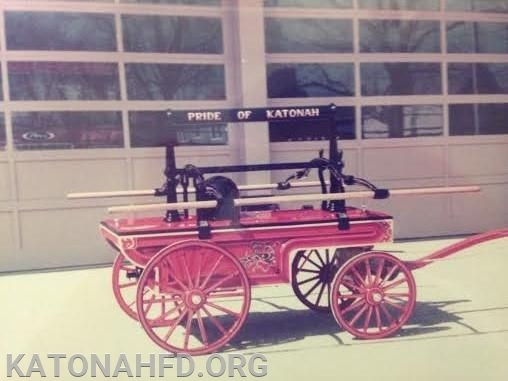 Happy Birthday to the "Pride of Katonah"
144 years ago on January 22nd, 1875 the Cowing Company of Seneca Falls, NY delivered our 4 wheel, hand drawn and operated pumper. 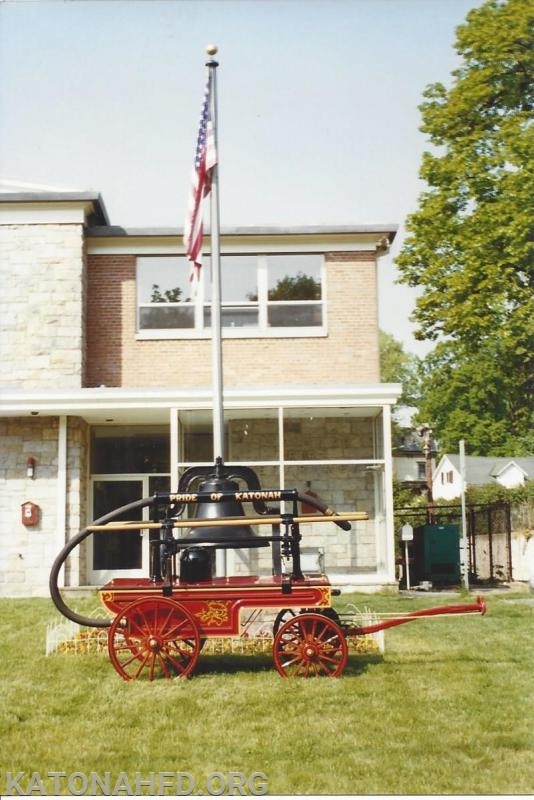 The hand pumper became known as the "Pride of Katonah" and has been in the possession of the Katonah Fire Department since 1875 and it is on display 24/7 in front of the fire house. 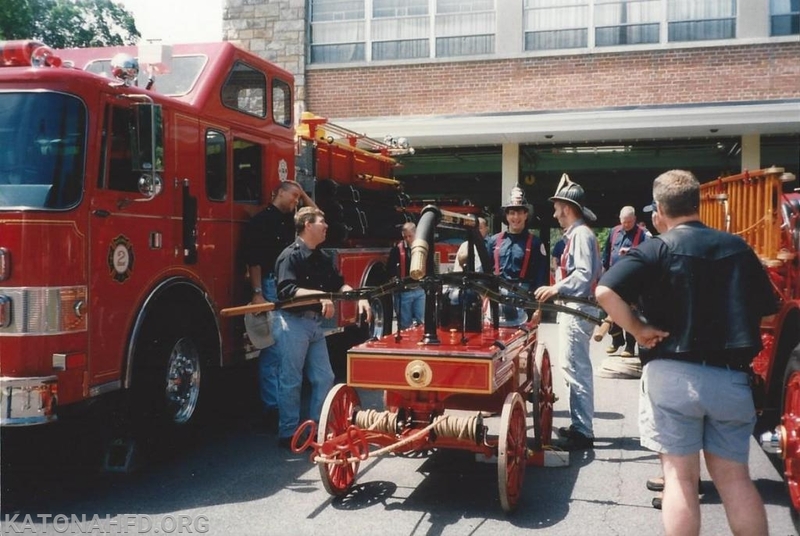 It is amazing to see how far technology and the environment have come in 144 years, this hand pumper cost the department $300.00 when it was brand new. 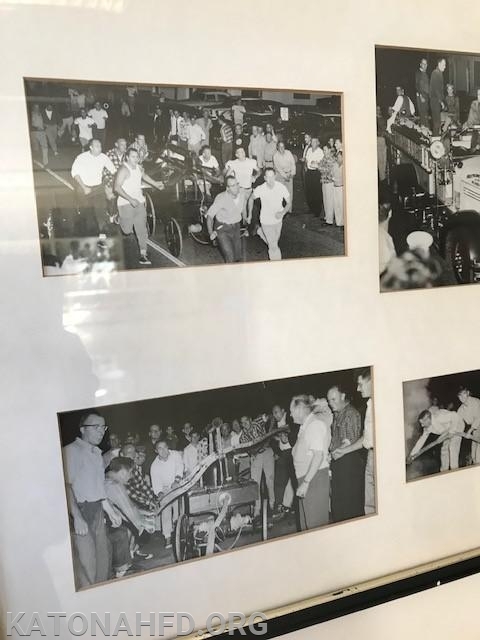 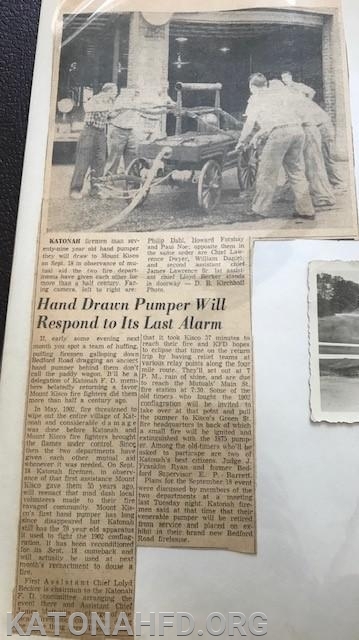 In the attached photos you will see two articles from 1957 about KFD responding to the Mount Kisco FD down Route 117 pulling this hand drawn pumper in recognition of MKFD doing the same to assist KFD battling a fire in 1902. 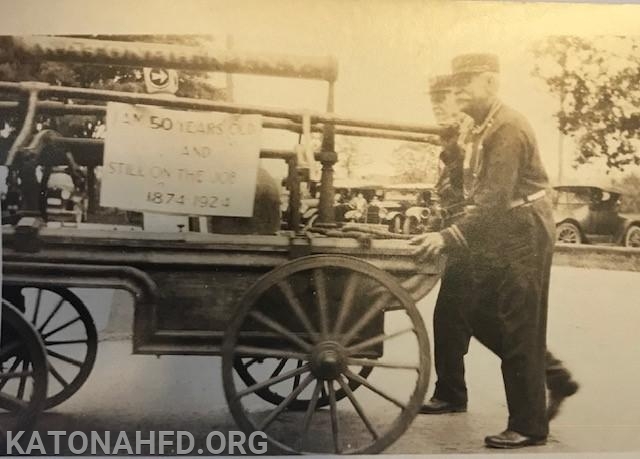 It took KFD firefighters 35 minutes, 25 and 9/10ths seconds against the original record of 37 minutes. 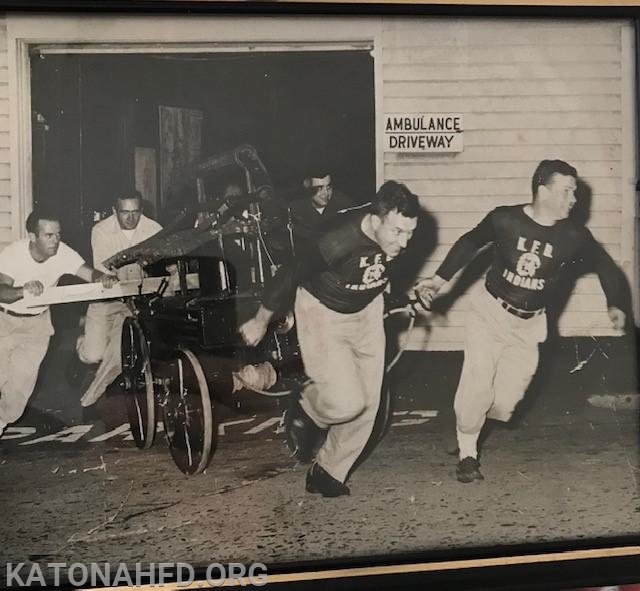 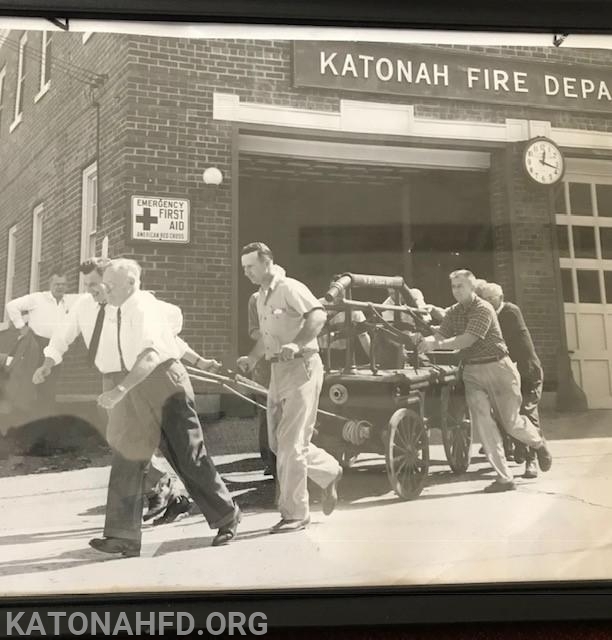 In one article and one photo you will see KFD's old fire house on Katonah Ave which is now called "Old Fire House Building" next to Chase Bank. 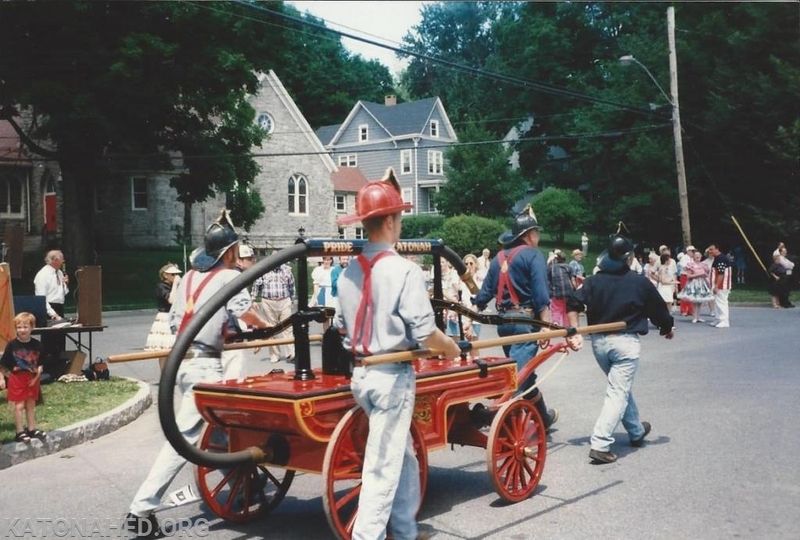 KFD takes great pride in the long history and tradition that makes Katonah a great community.